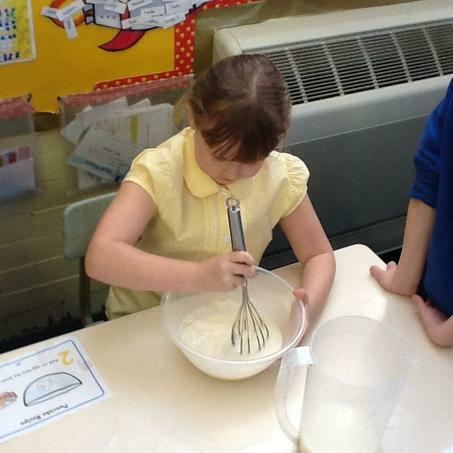 Our second topic in Year 2 is called 'The Big Croft Bake Off'. 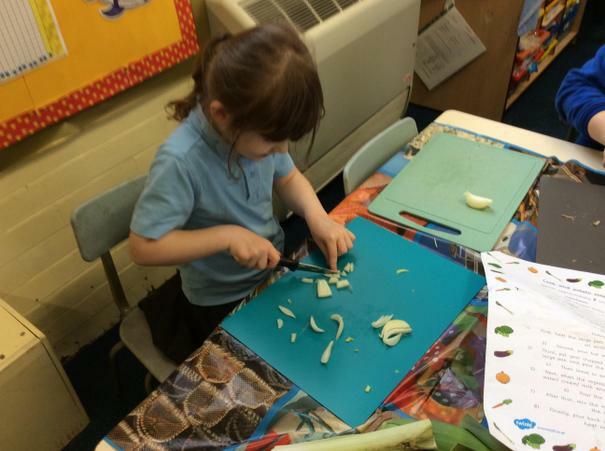 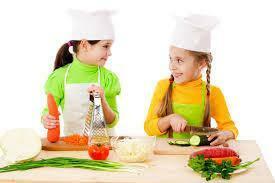 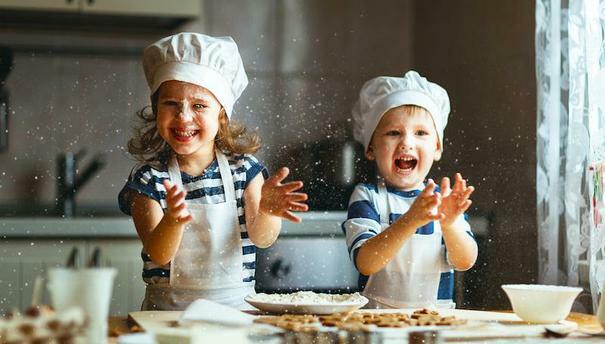 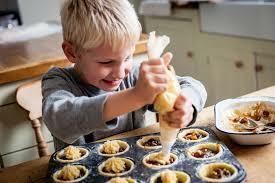 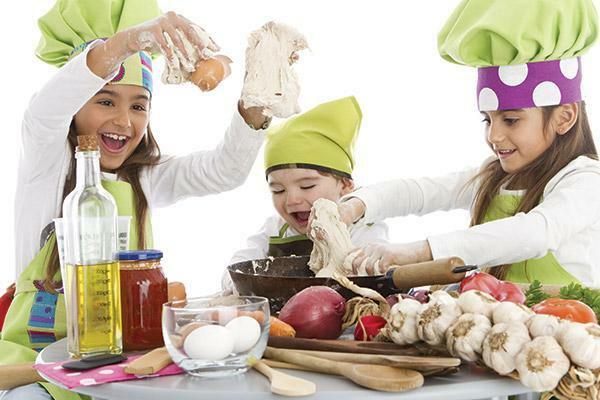 The children will learn about many different methods of cooking, including how food is baked, cooked, boiled and fried. 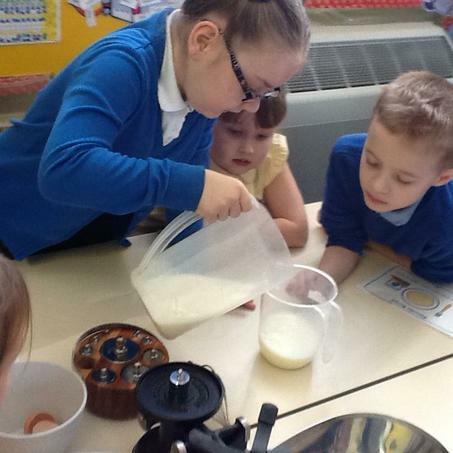 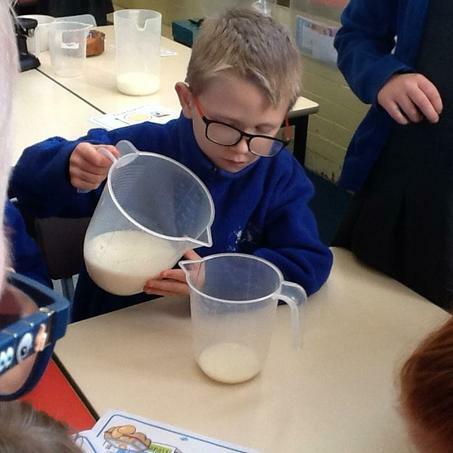 They will be having a go at cooking different foods themselves too using weighing scales and measuring using jugs. 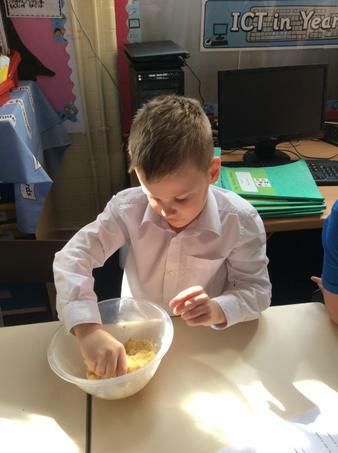 After learning about where food comes from in their first topic, both Year 2 classes will be going on a school trip to learn how to make and bake their own pizza at Pizza Express- check our class noticeboard for dates and more details! 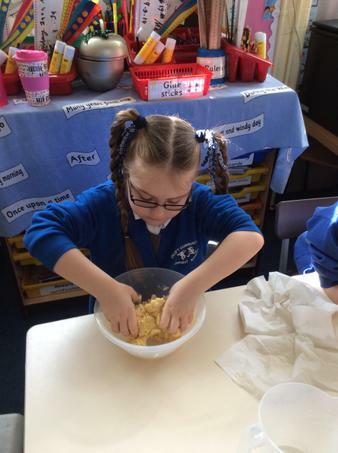 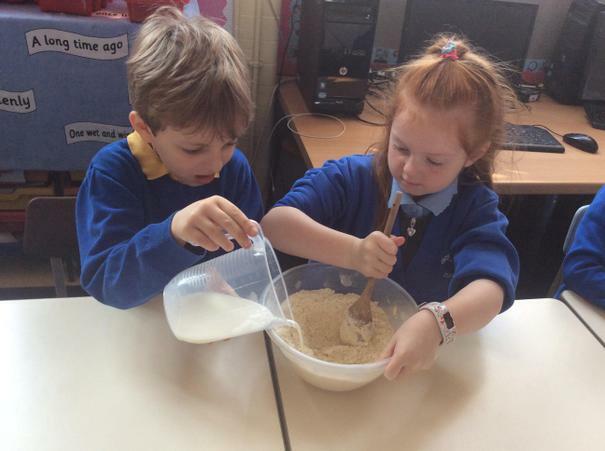 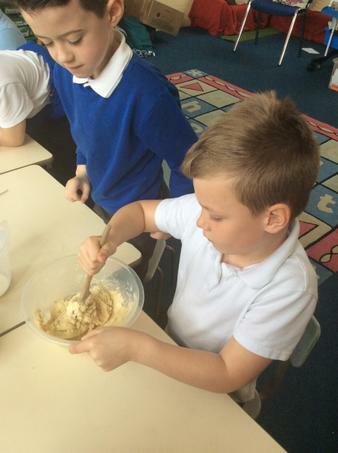 This morning year 2 were busy baking scones and flapjack for our Big Croft Bake Off tomorrow afternoon! 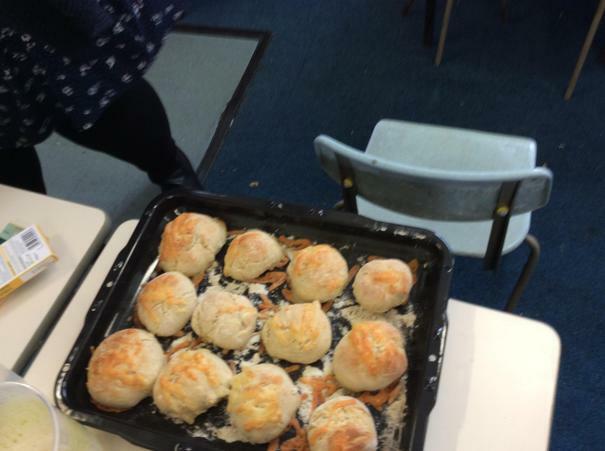 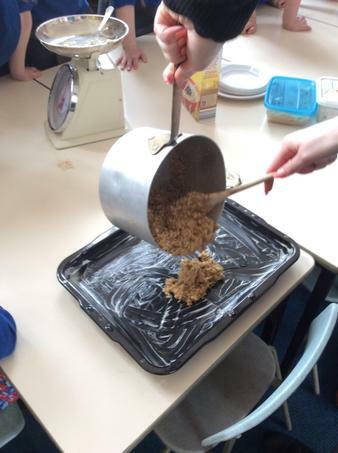 They weighed and measured lots of different ingredients using measuring jugs and weighing scales and practised lots of other skills including beating egg in a bowl, spreading flapjack in a baking tray, greasing a baking tray with butter, melting butter and sugar in a pan and kneading dough using their hands. 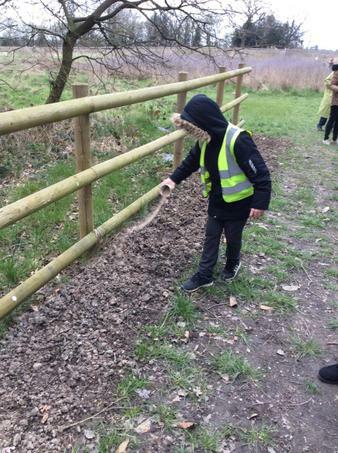 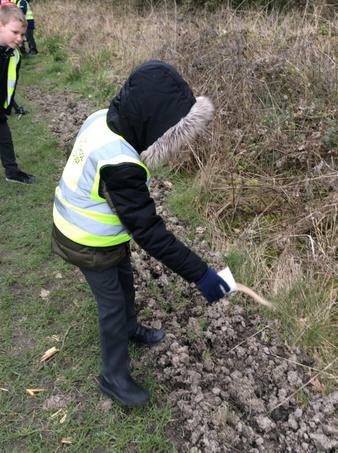 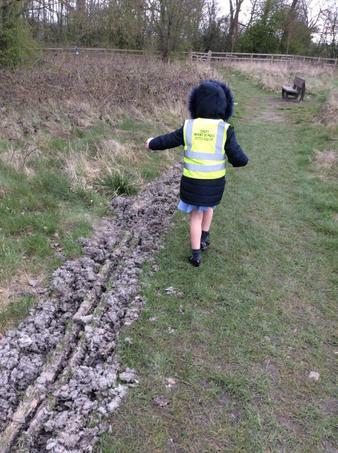 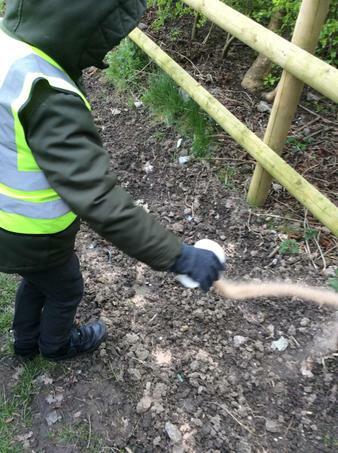 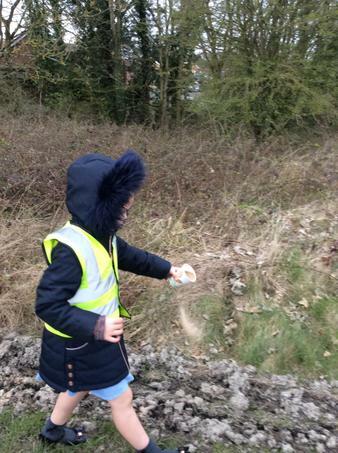 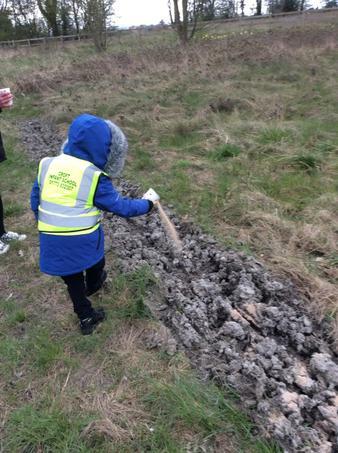 Year 2 were invited to scatter poppy seeds at the centenary gardens on Flowery Leys Lane. 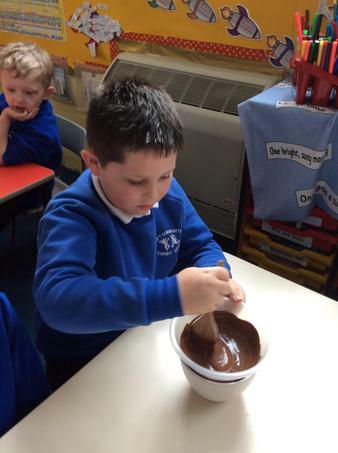 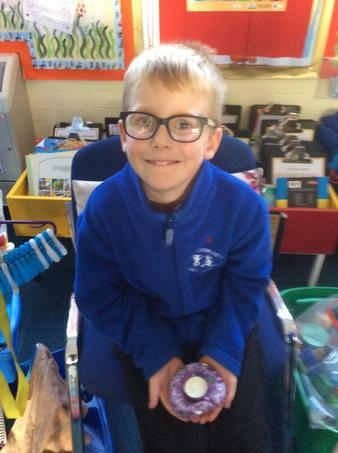 Year 2 learned about solids, liquids and gases and did a science experiment where they melted chocolate. 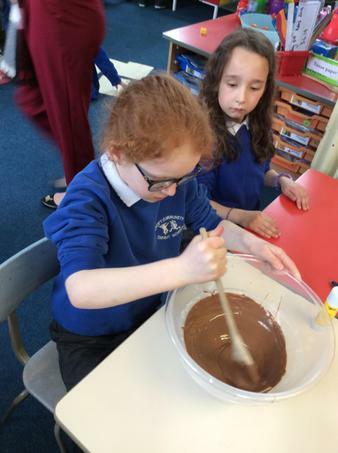 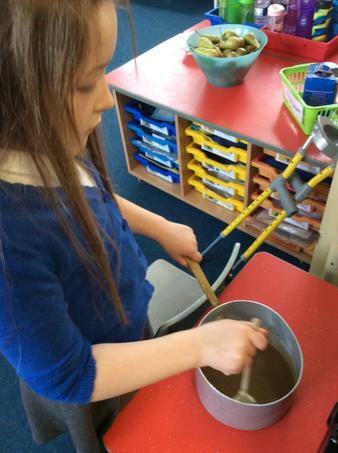 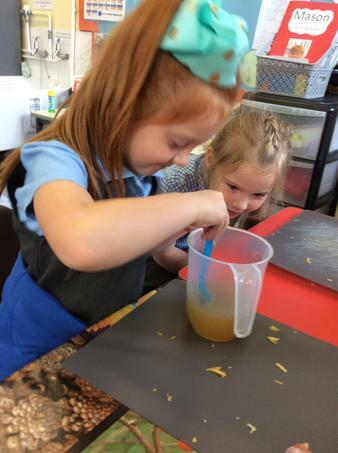 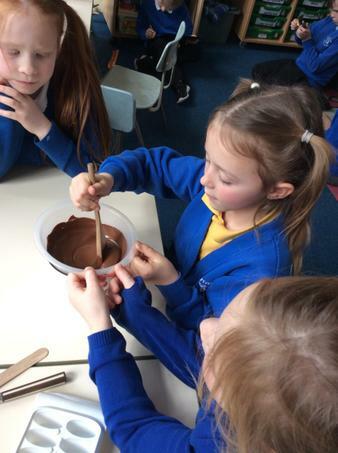 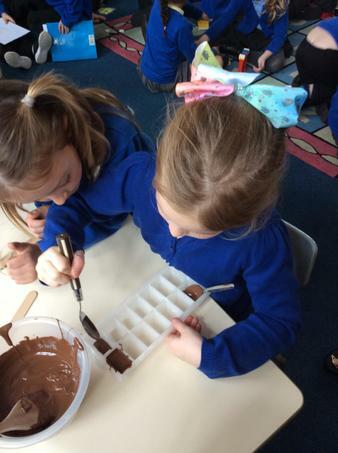 They then poured the chocolate into moulds, put in lolly sticks, left them to set back into solid chocolate and wrapped them up as hot chocolate spoons to stir into hot milk and sell at our Easter fair! 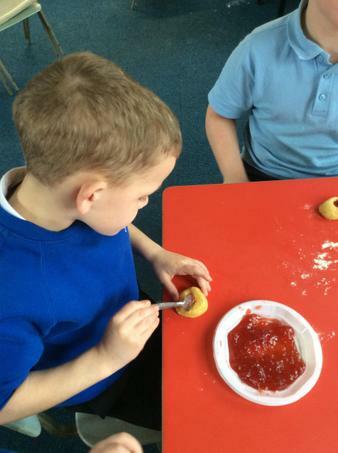 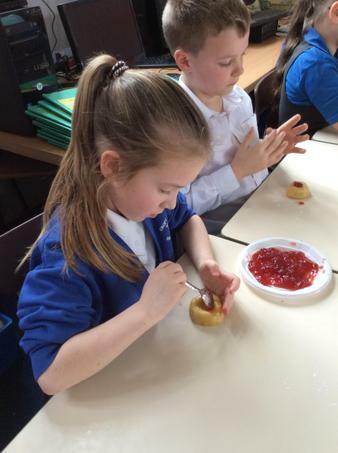 Today we followed instructions to make strawberry thumbprint buns! 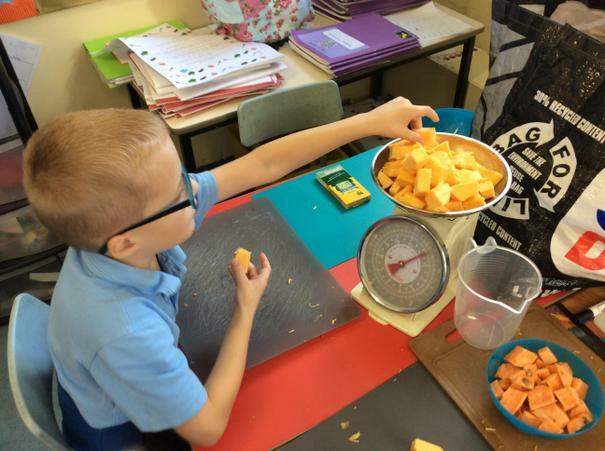 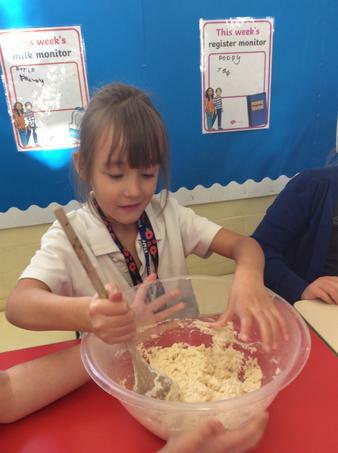 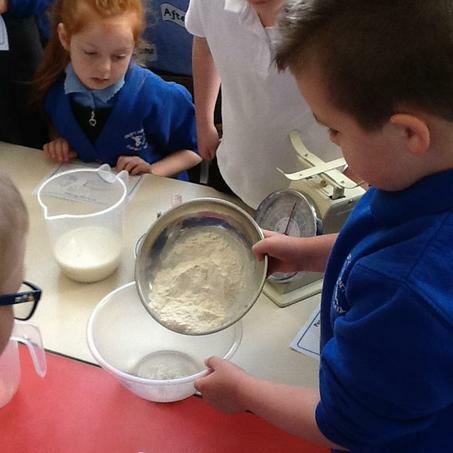 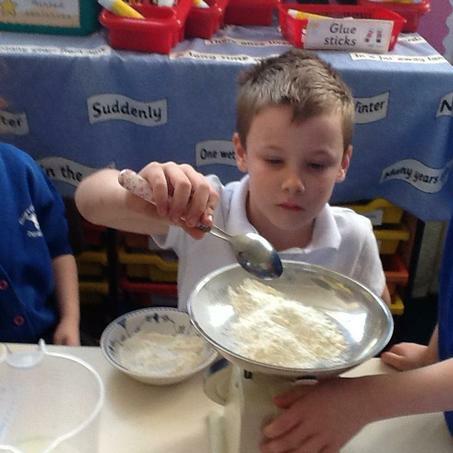 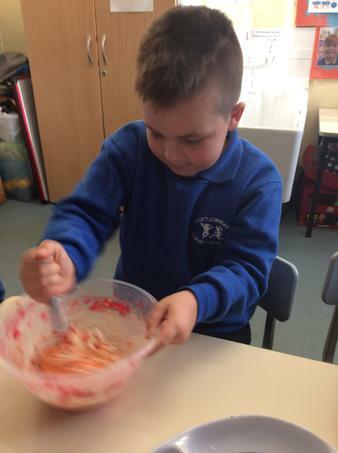 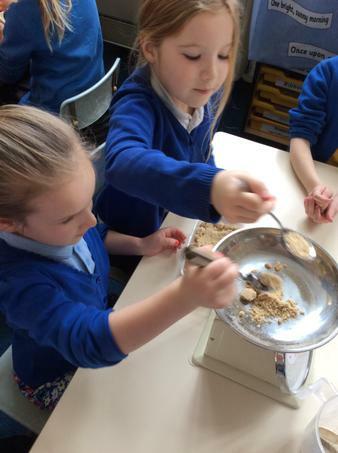 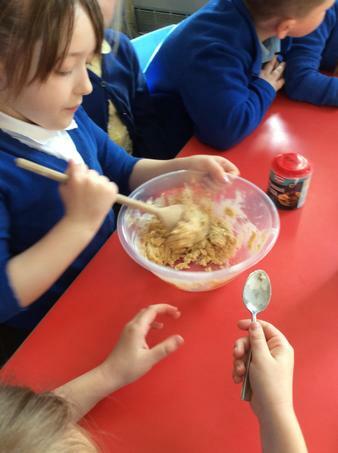 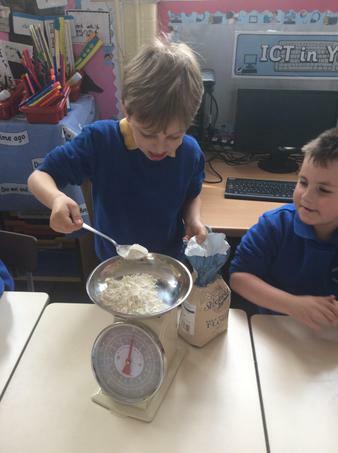 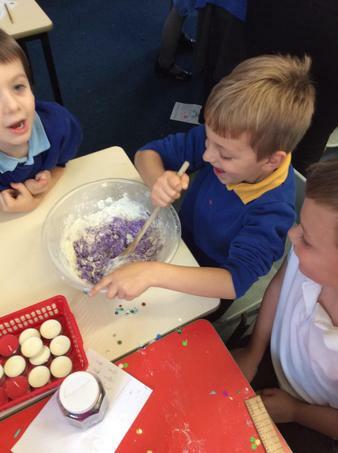 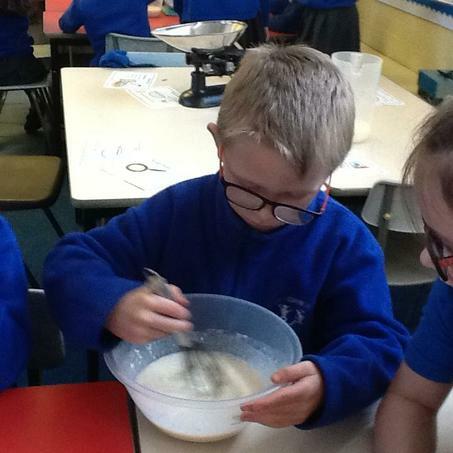 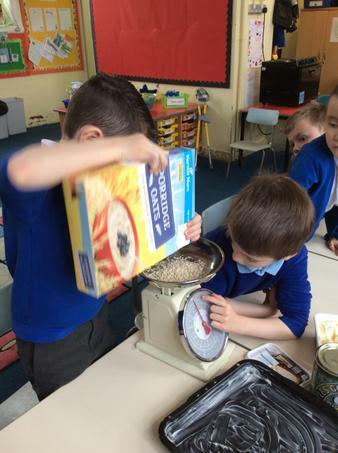 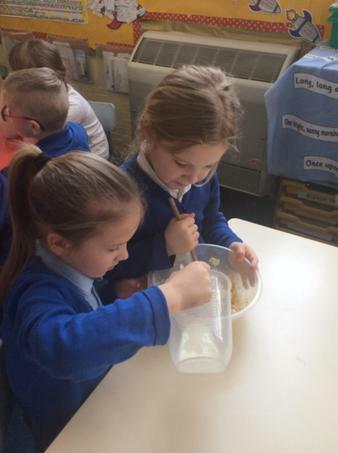 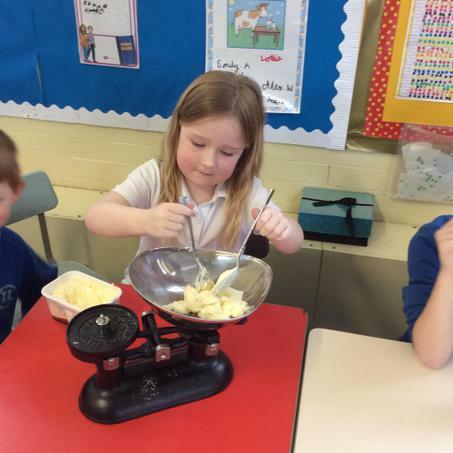 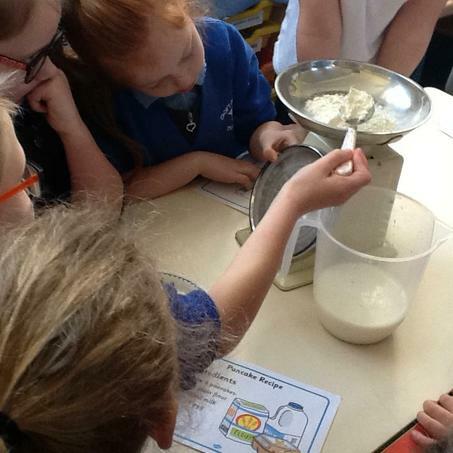 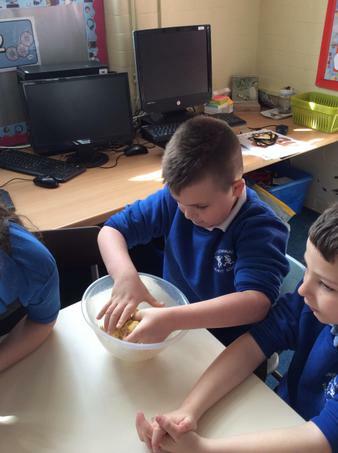 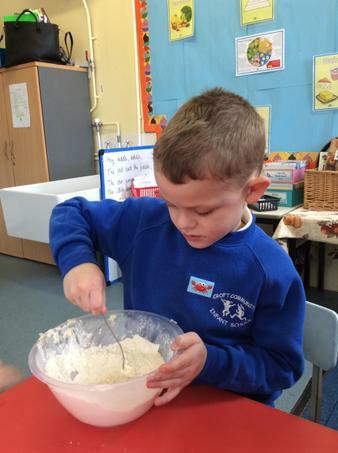 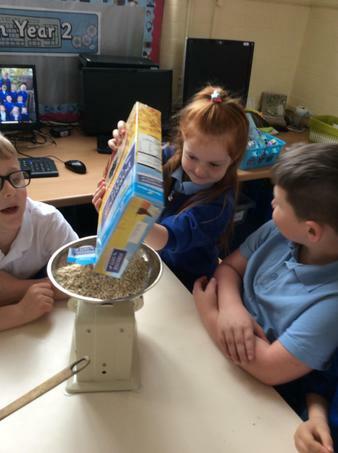 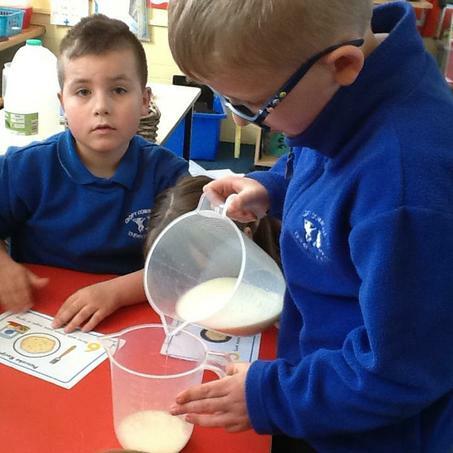 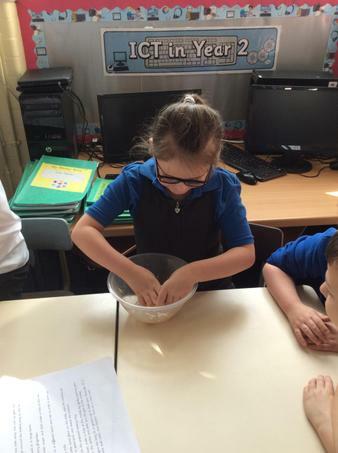 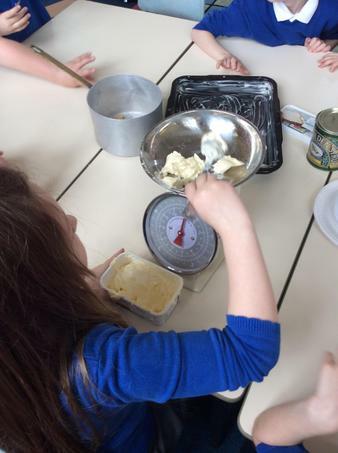 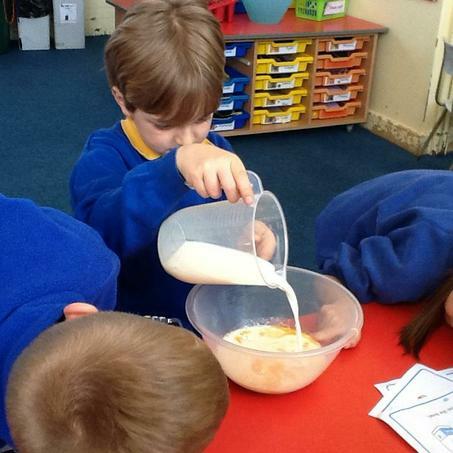 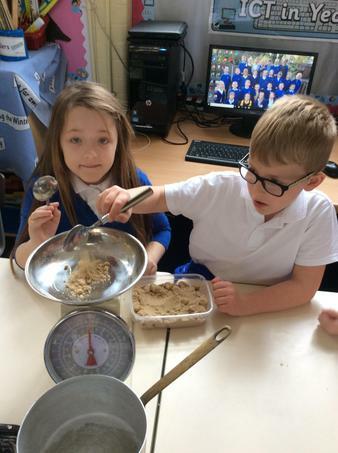 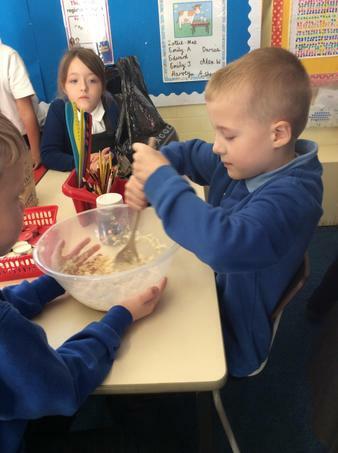 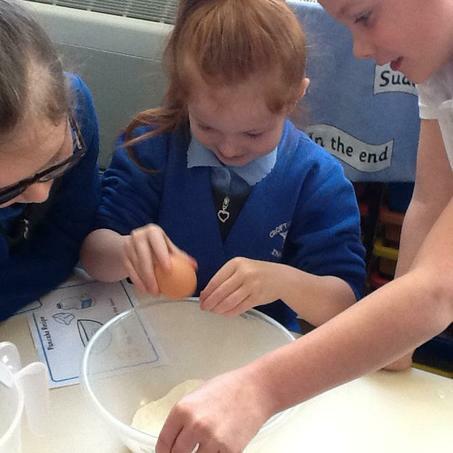 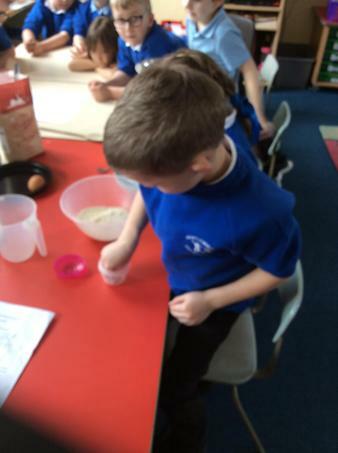 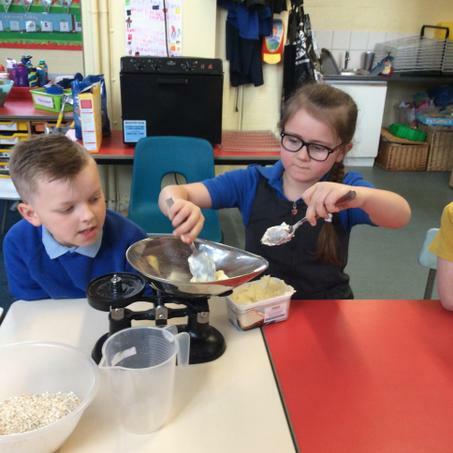 Look at the photos of us busy weighing, measuring, whisking, mixing and kneading! 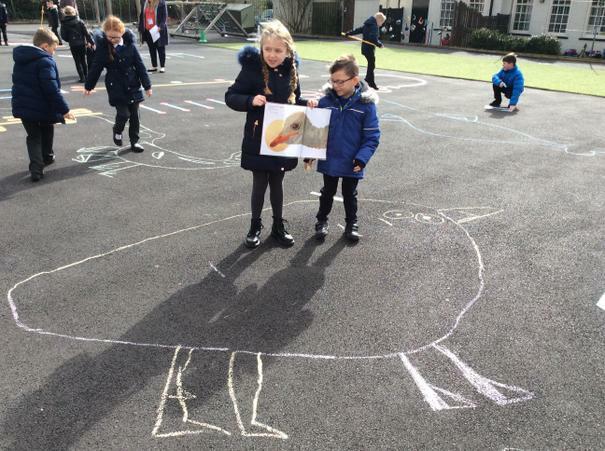 In maths Year 2 read a book called 'Actual Size' and then used metre sticks and rulers to draw these enormous creatures outside on the playground! 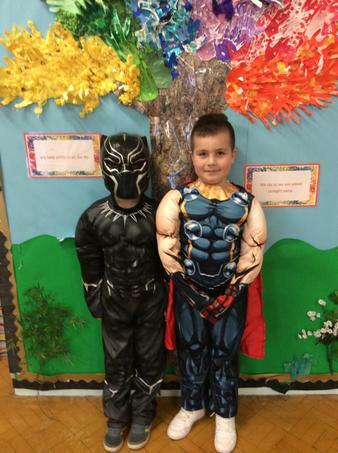 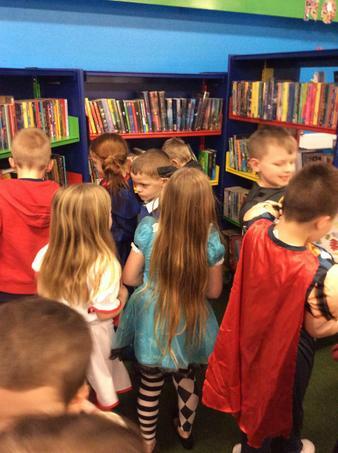 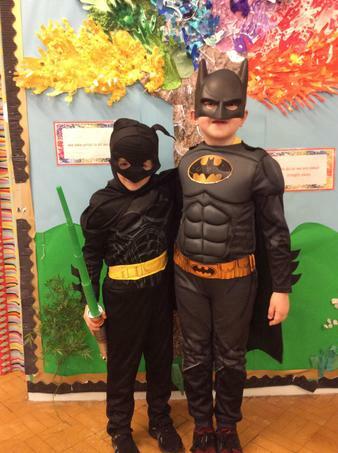 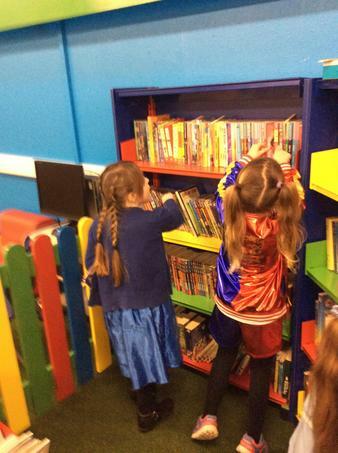 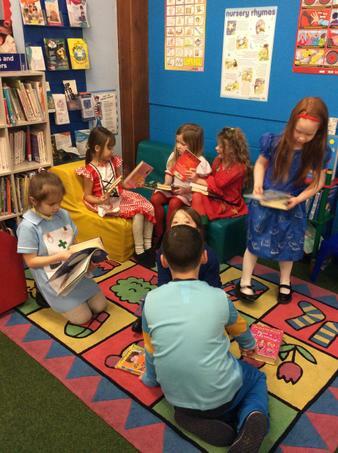 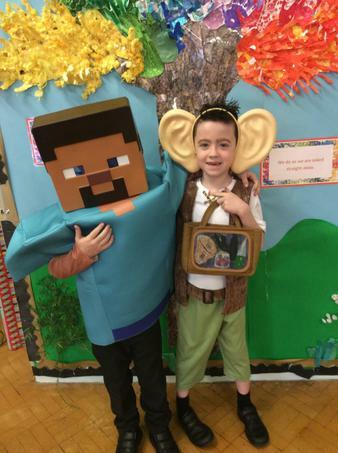 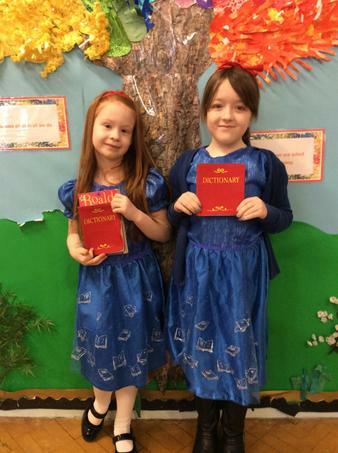 Look at our amazing World Book Day costumes! 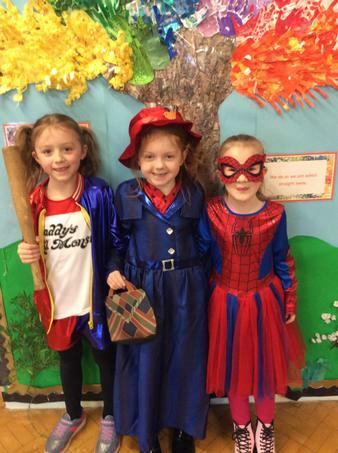 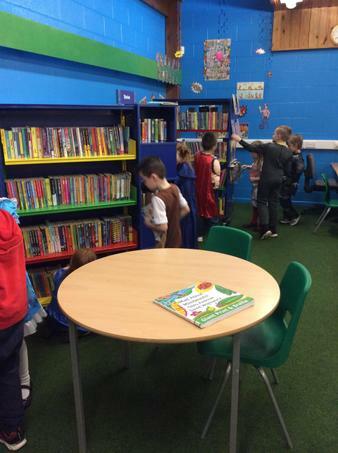 Matilda, Batman, Black Panther, Thor, Little Red Riding Hood, Mary Poppins, Horrid Henry and Harry Potter to just name a few fab characters! 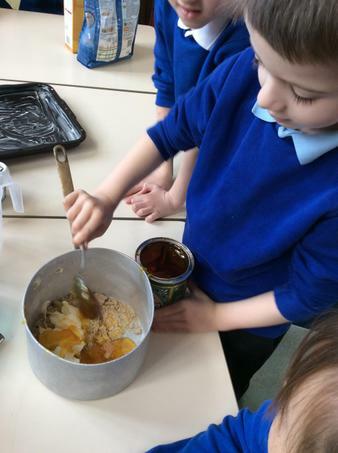 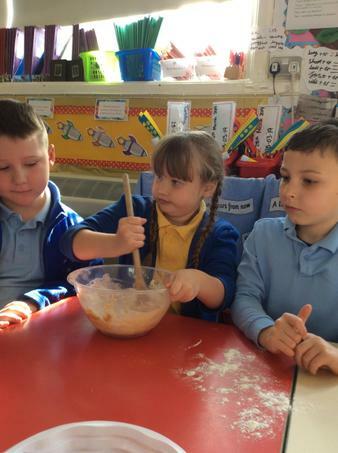 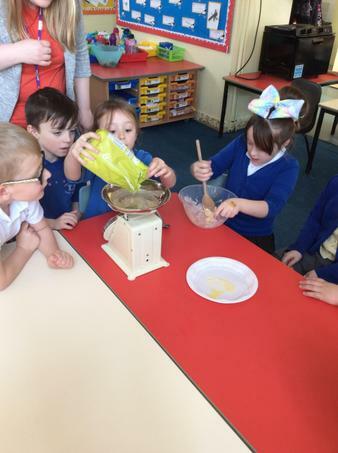 On Pancake Day we learned how to follow instructions, weigh and measure using weighing scales and measuring jugs, crack eggs, whisk the mixture, pour into a pan and then decorate with scrumptious toppings! 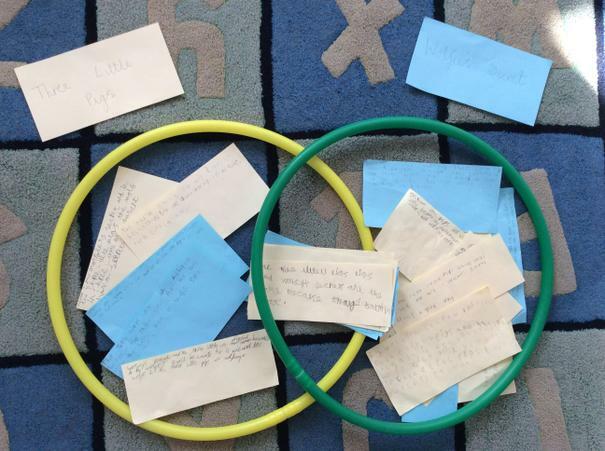 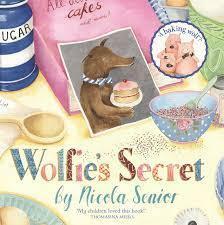 In English Year 2 have been comparing and contrasting the characters, settings and events of different stories; Wolfie's Secret and The Three Little Pigs. 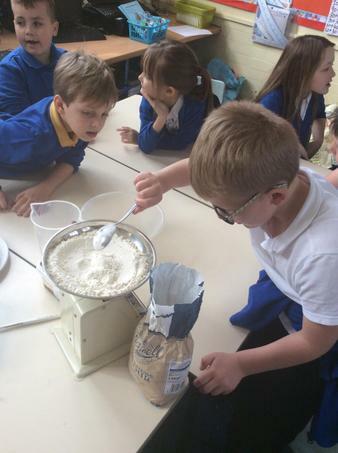 Year 2 had an amazing time at Pizza Express making their own pizza! 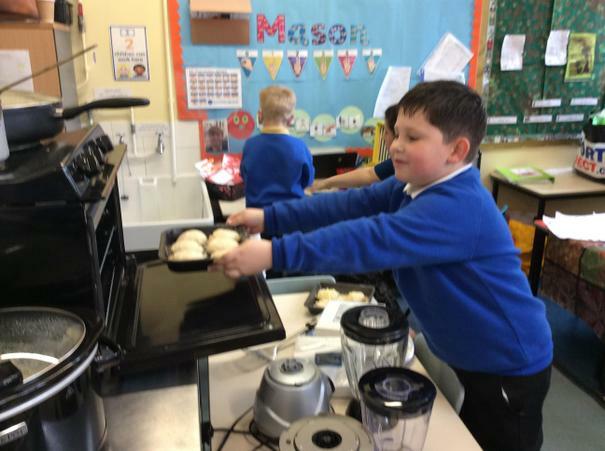 They rolled and shaped the dough, stretched it into a pizza tray, added tomato sauce and mozzarella cheese on top and then cooked it in the oven. 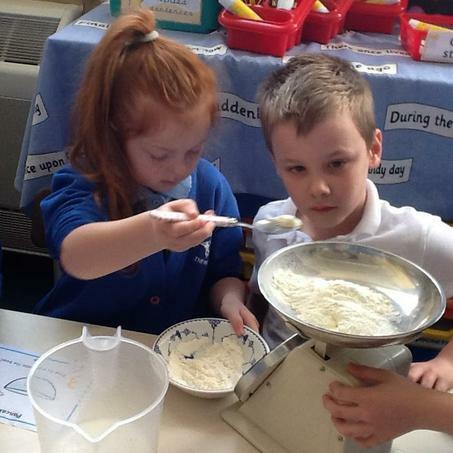 They were then lucky enough to take it home for their tea in a posh pizza box! 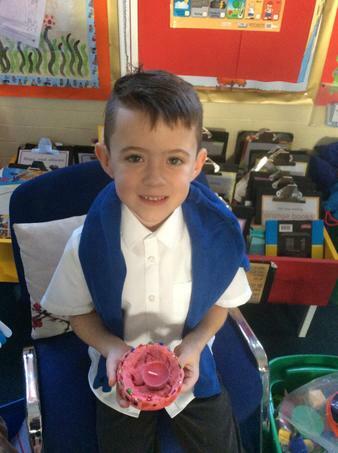 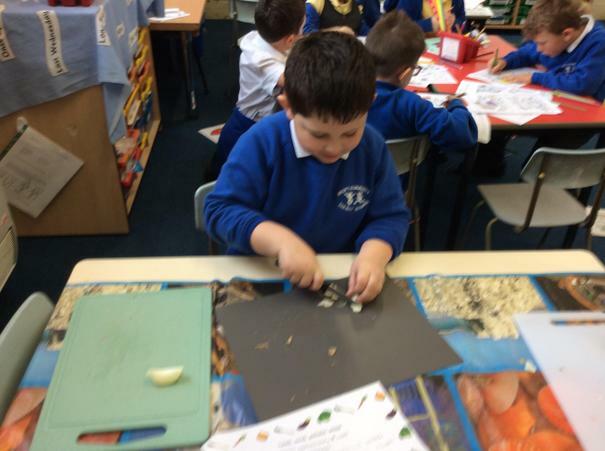 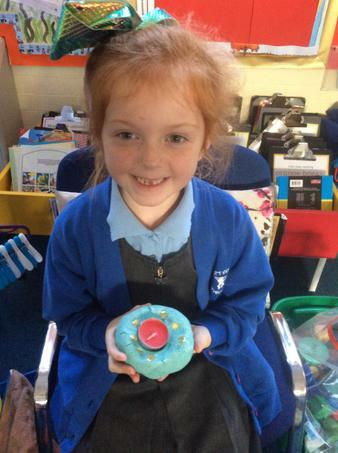 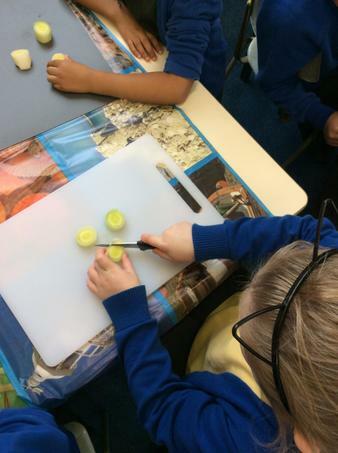 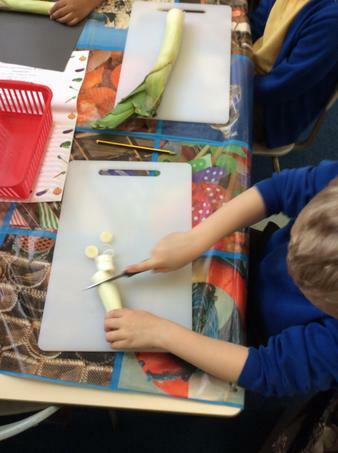 Yellow class class have been making their own felt pizza and sewing their own felt toppings on! 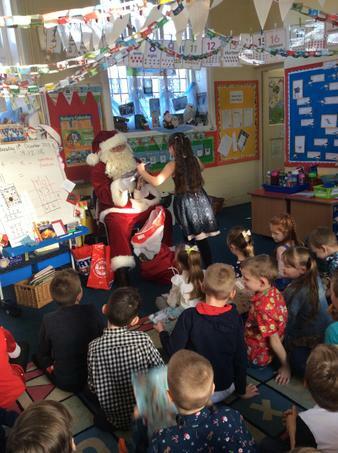 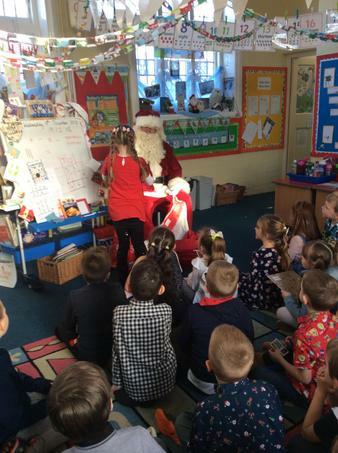 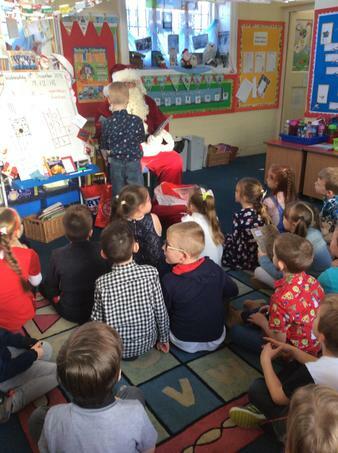 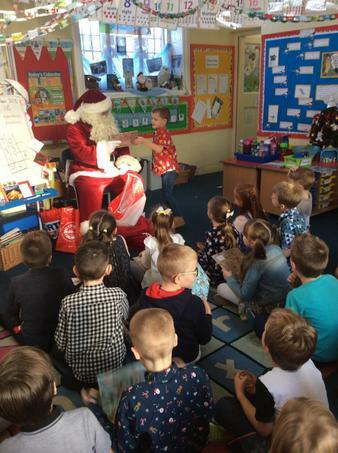 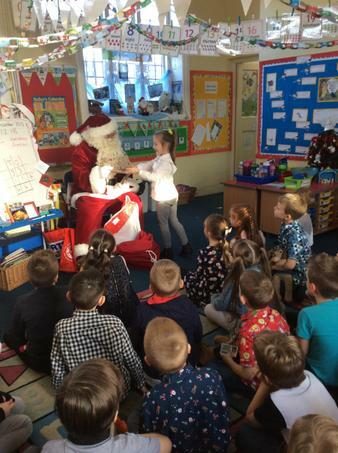 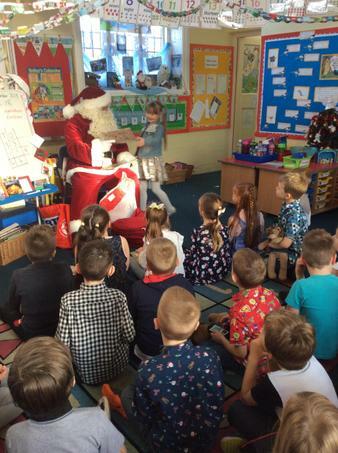 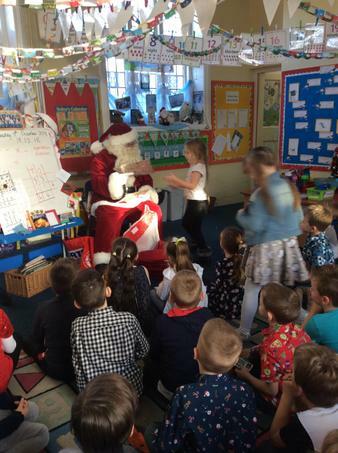 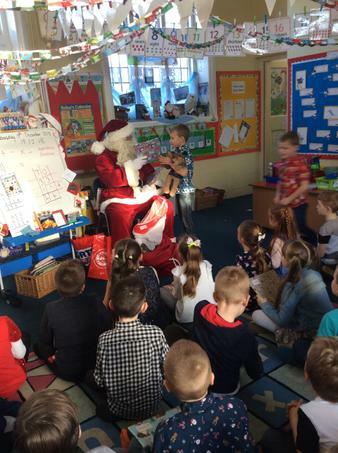 Yellow Class had a visit from Santa today!! 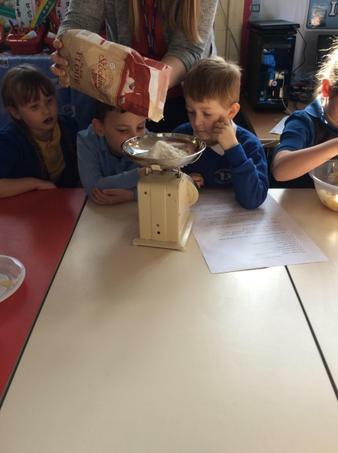 Year 2 were very lucky to be able to visit the Christmas Tree festival at St Martin's Church. 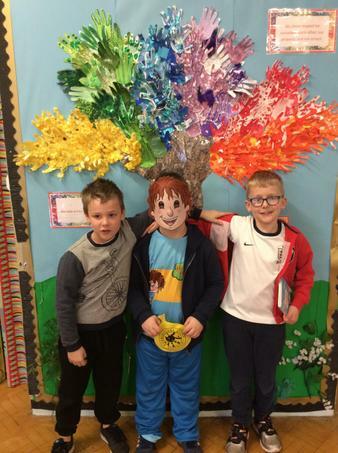 There were 50 beautifully decorated trees, including our colourful Croft tree. 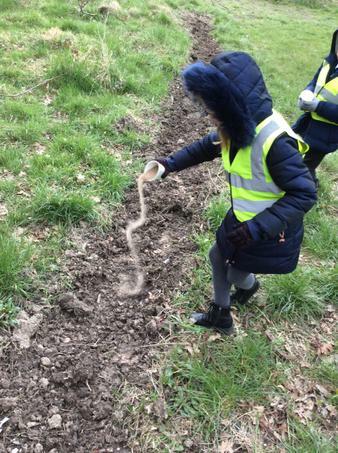 Year 2 had a wonderful time at Alfreton Heritage Centre, learning about World War One in Alfreton. 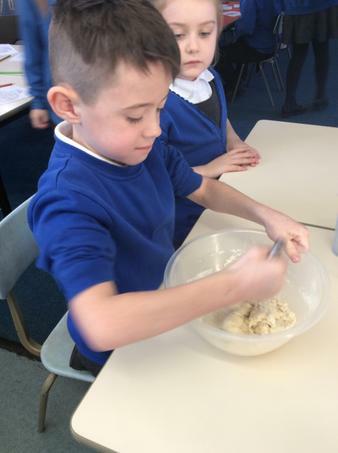 Year 2 enjoyed their bikeability sessions! 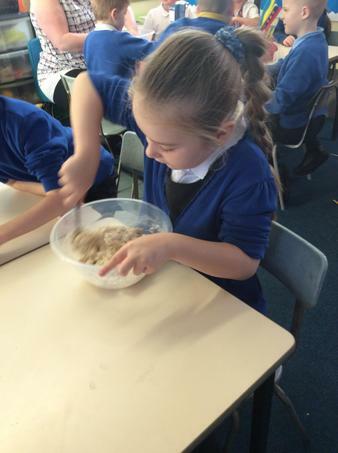 We made salt dough for our Diwali lamps by mixing water, salt, flour and paint to colour it. 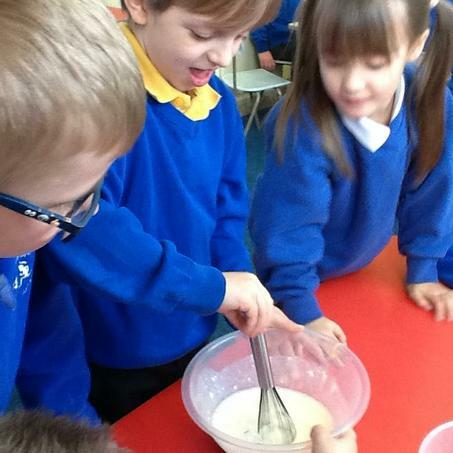 Try it at home it is easy! 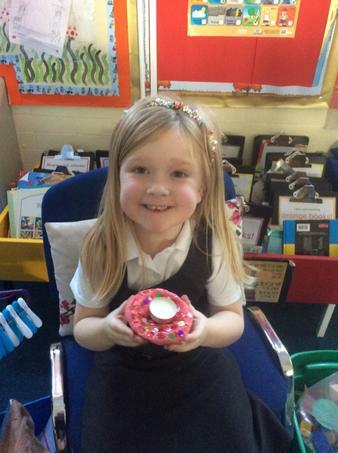 We learned some Hindu dance moves whilst we have been learning about Diwali! 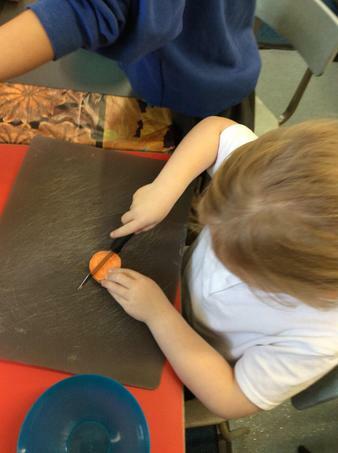 Yellow Class painted their own poppy stone whilst they were learning about Remembrance Day. 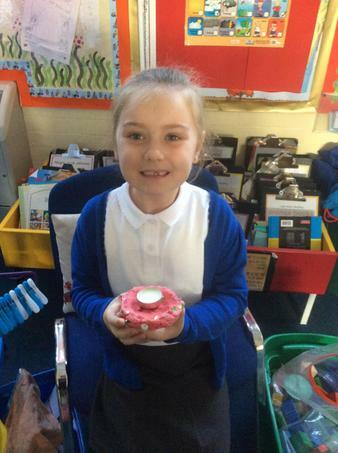 This links in with our World War One topic, especially as it is 100 years this year since the end of the war. 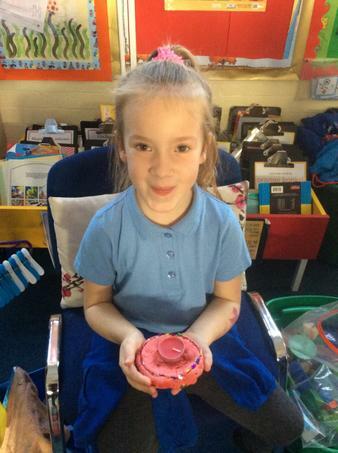 Year 2 visited Alfreton War Memorial and left their poppy stones below the statue for other people to see and enjoy. 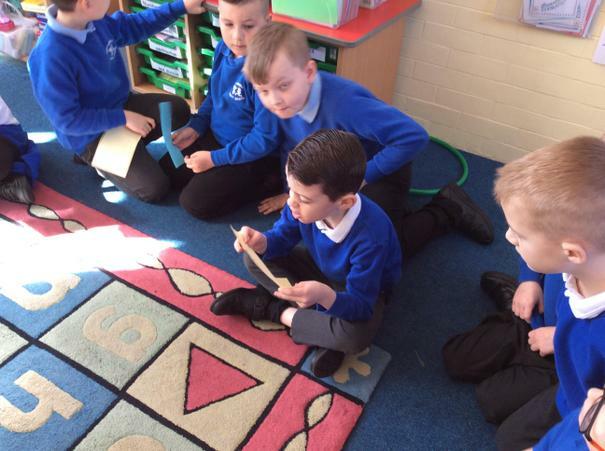 Year 2 visited Alfreton War memorial. 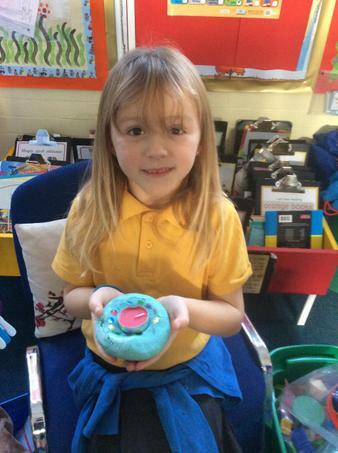 Green Class left a beautiful poppy wreath and Yellow Class left pretty painted poppy stones as a token of respect and to remember the men who died in the war. 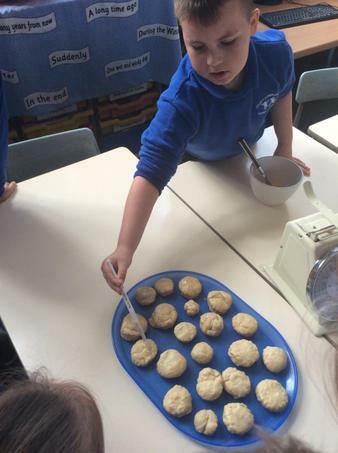 Year 2 prepared vegetables, cooked them and blended them into soup, and baked their own bread rolls to sell for our Big Soup Share at Croft! 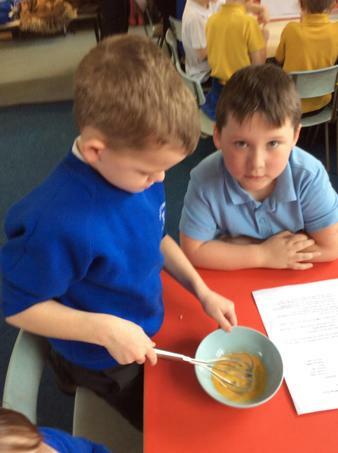 It was a huge success and we hope all of the children and grown ups enjoyed their leek and potato, and sweet potato and pumpkin soup! 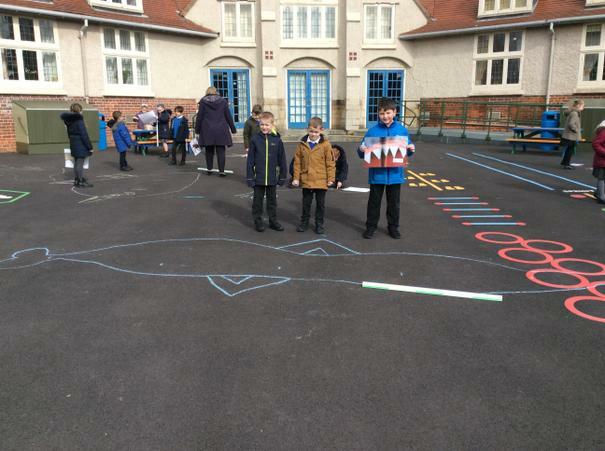 The children went on a shape hunt around the school and looked for 3D shapes in everyday objects. 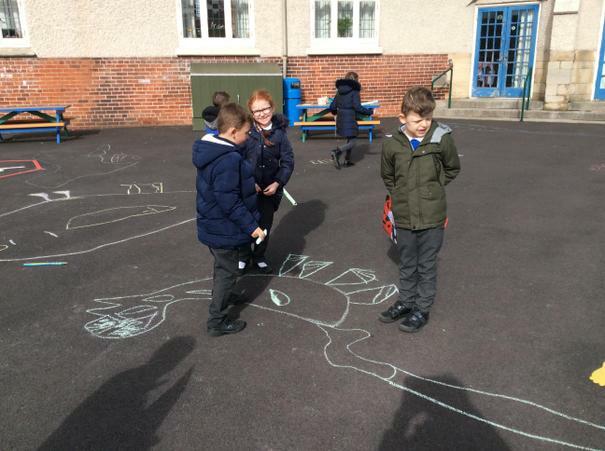 In maths the children went outside to represent numbers to 50 with natural objects including leaves, sticks and stones. 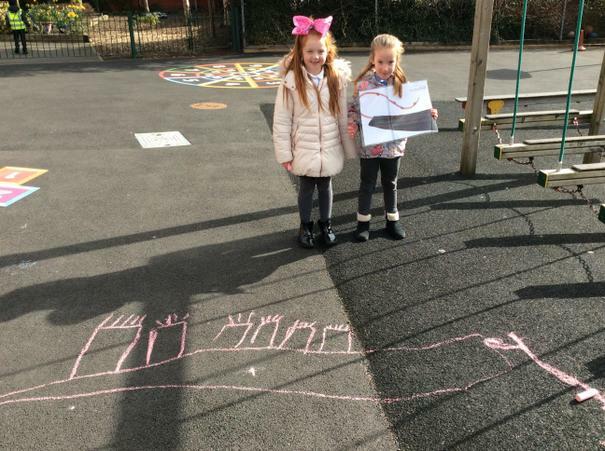 The children created a 'time capsule' of their height, friends and favourite things. 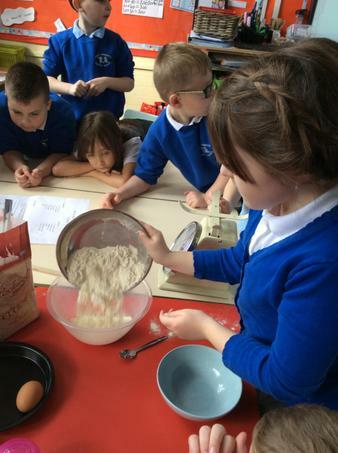 they will do another in July to see how they have grown and changed! 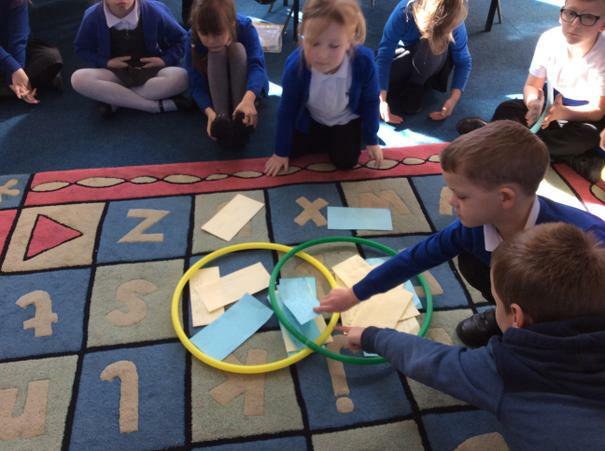 Why not click on these links to play these Literacy and Maths games at home? 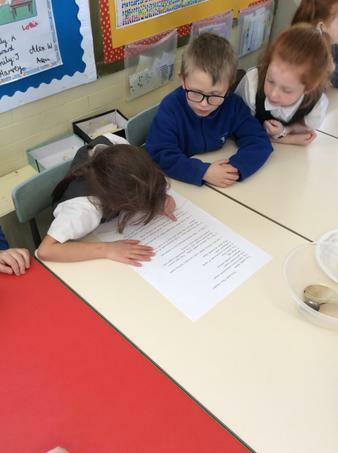 BBC River Rhyming game A fun game to help children learn about rhyming words! 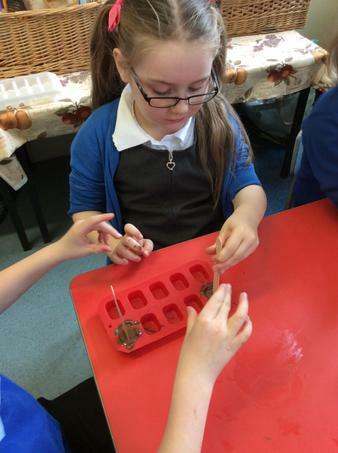 Penguins On Ice Children choose to play different games: putting words in order to create a sentence, choosing the correct punctuation sign to add at the end of the sentence, or using adjectives to make the sentences more interesting. 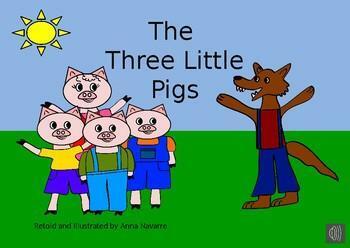 Syllables Factory Game Children can play this fun game to count how many syllables there are in different words! 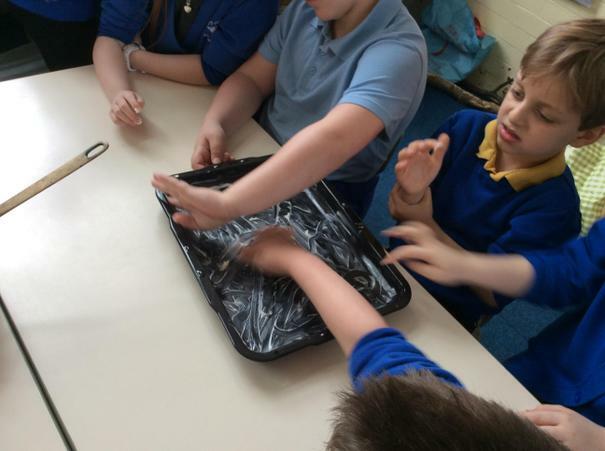 Noun Fish Feeding Game Children choose the word which is a noun to feed to the hungry fish! 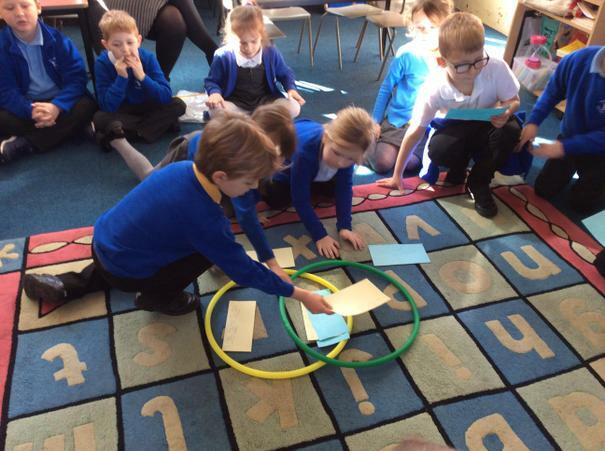 BBC Connectives game An exciting game to help children learn about words that join sentences together! 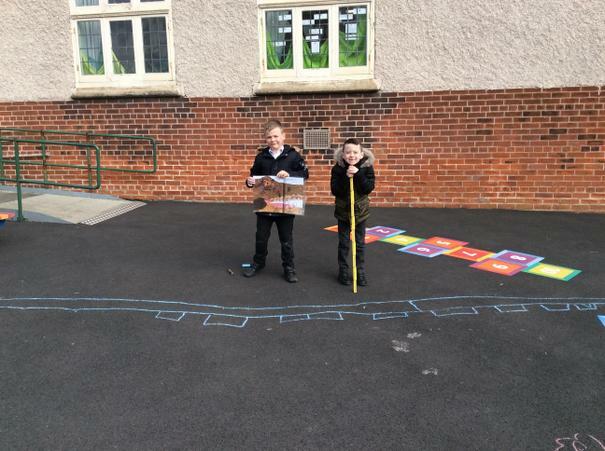 Top Marks Speed Challenge Children choose from a range of different maths topics and complete the questions in less than 20 seconds each time!